How to maximize your romantic trip To Leh Ladak. 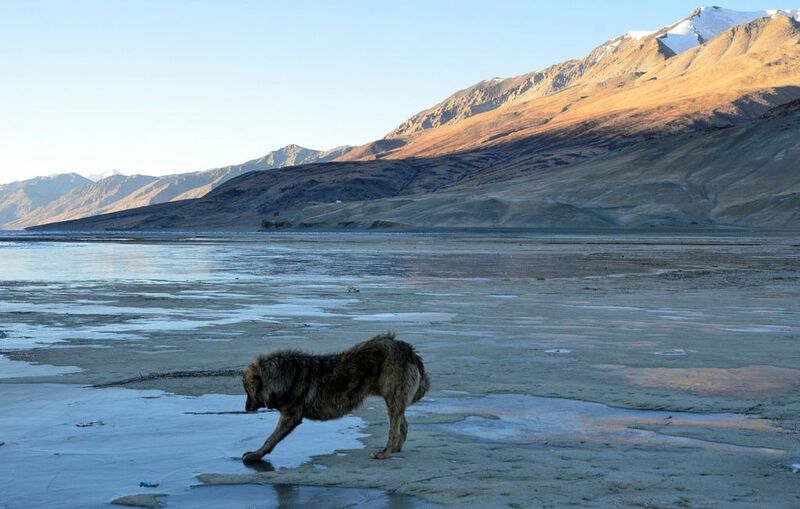 Ladakh is known as a land of rugged beauty and it lives up to its name. A trip to this far off land is every traveler’s dream too. Ladakh literally translated as the “land of high passes” and was a part of the erstwhile Silk Route. Associated with its capital city, a trip to Leh-Ladakh happens to be much coveted and a must include in every tourist’s bucket list. Exploring the rugged terrain is as beautiful and enriching as it is dangerous and challenging. With many difficult routes to traverse, Leh-Ladakh is a stuff of dreams that to every adventurous trekker across the world shares. The territory is a part of India’s share of Jammu and Kashmir doubles up as a perfect romantic getaway too. Nothing compares to taking a challenging road trip with your partner. Pangong Tso Lake: One of the most beautiful places in Ladakh, this Lake is a wonderful spot to visit. Visit it by the day and let the bright, clear, blue waters of this lake mesmerize you. The road to Pangong Tso Lake through the small villages of Thiksey and Shey is mesmerizing too. The picturesque little village’s en route is a sight for sore eyes as well. Go for a walk by the banks of the serene, beautiful lake and let its beauty enthrall you both. Take a romantic boat ride across the river and soak in the bright mountain sun, enjoy the cool breeze and reminiscence over iconic Bollywood scenes. If you are both adventurous, you could also opt for a jeep safari or stay overnight in a camp by the lake thus spending some quality time with your partner. Magnetic Hill: A visit to Ladakh will remain incomplete if you don’t go up to the majestic and magnificent Magnetic Hill. It is not only beautiful, but also known to drag cars up it, in total reversal of the laws of gravity. A drive through this Hill is definitely unique! 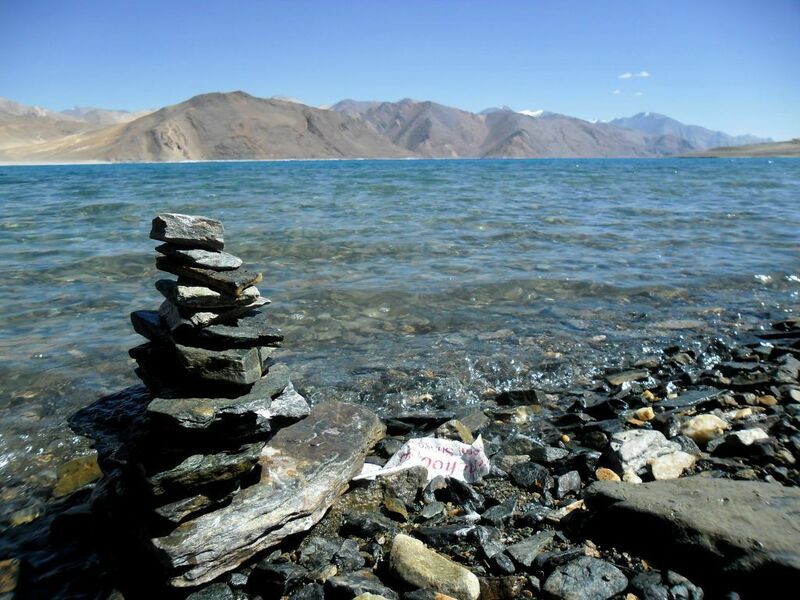 It is an experience that you and your partner should and must go through on your trip to Ladakh. This hill that lies 30km from Leh in the barren land offers a great experience to the tourists when visited in the months of July -September. 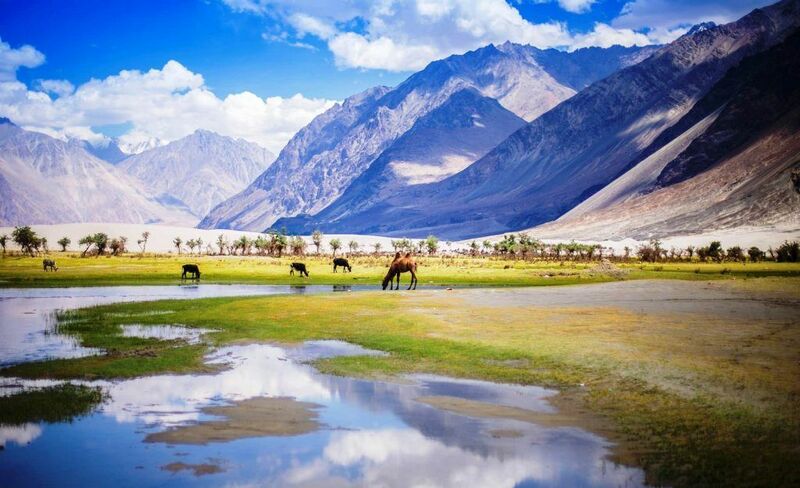 Nubra Valley: Situated north east of the Ladakh Valley, this Valley is a magnificent spot for both you and your partner. It is flanked by serene locales and gorgeous hills. These hills also house the beautiful Hunter Sand Dunes that provide a perfect romantic backdrop for you and your partner to enjoy. If you are both up for a bit of thrilling experience, you may opt for the desert safaris conducted at the sand dunes. You will be taken up and down several sand dunes of varying heights and the experience, will be superbly exciting. If your heart calls for even more thrilling adventure at a slower pace, hop up a camel’s back and experience the safari. You may also opt for the night camps arranged around the place. Tso Moriri Lake: A twin of the Pangong Tso Lake, Tso Moriri Lake is one of the lesser known gems of Ladakh. It is situated within the Changtang Wildlife Sanctuary and bordered by beautiful snow-capped mountains making it an epitome of beauty and tranquility. If you are a bird lover, Tso Moriri is just the place for you. This wetland reserve is a home to many rare species of birds including the bare-headed goose, the great-crested grebe, the brown headed gull as well as the Brahmin duck. Another animal that you will be able to see around here is the Himalayan hare. At a height of 2000m above the sea level, Tso Moriri Lake is one of the most remote destinations across Ladakh that remains alienated from the rest of the world. 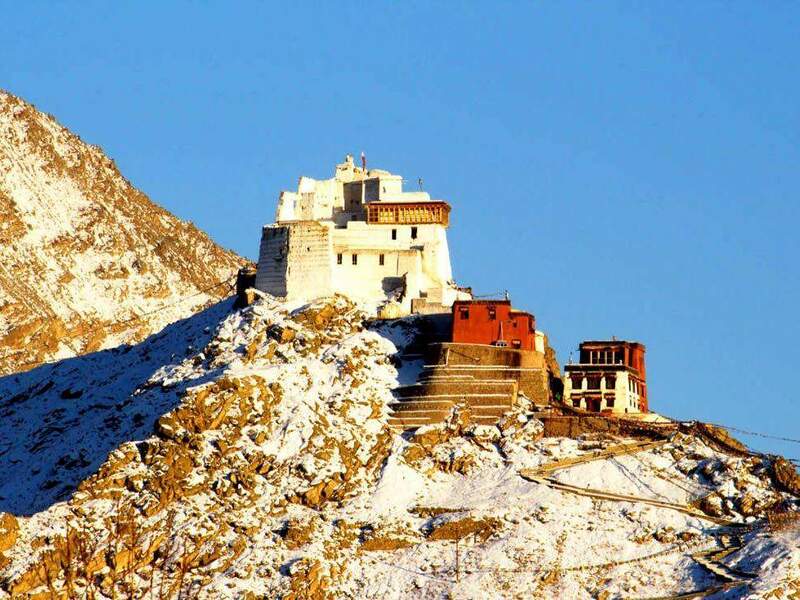 Namgyal Tsemo Gompa: If you are searching for a spiritual connection while at Ladakh, Namgyal Tsemo Gompa is exactly the place for you to visit. The road to this Buddhist monastery is really challenging as you have to encounter a number of mountains that are difficult to traverse, on the way. However, it is totally worth the effort! While the Monastery itself is mesmerizing, the view that surrounds it is so romantic that you and your partner will be enraptured by it. The moon-like, mystic appearance of Ladakh’s entire expanse is a view worth cherishing always. Besides, the places listed above there are a number of lesser known places that you ought to check out on the trip. It includes, Shanti Stupa, Cho Khang Gompa, Jama Masjid, Chamba Temple Gurdwara Pathar Sahib, Victory Tower, War Museum, and the Zorawar Fort. If you are up for undertaking road trips that might be about a day long, do not forget to visit Khardung La, Shey Monastery, Spituk Monastery, Hunder Valley, Basgo, Alchi Monastery, or the Turtuk, Siachen Glacier either. Thiksey Monastery, Stok Palace and Monastery, Hemis Gompa are places that you need to view here as well. Follow the trekking trail to Markha Valley, if you are not afraid to walk for long hours. 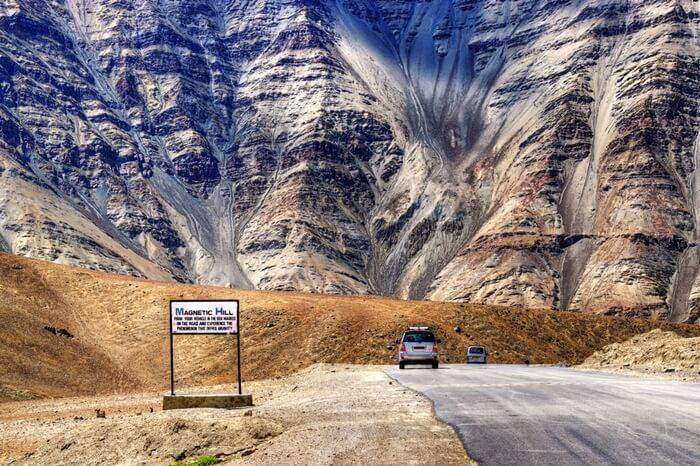 Whatever you do, wherever you go, Ladakh and Leh are bound to surprise and mesmerize you at every step. If you and your partner are looking for a great, memorable travelling experience together, then this trip is for you. The Manali Leh jeep safari is indeed great value for money and you will not regret spending the time or doling out the required amount to your tour operator.